Cut, copy, paste feature finally introduced in iPhone. And the same can be done across apps, and support for undo feature is seen. Options to create and send MMS from the iPhone. Search through mails, calendars, media and notes. iTunes changes: Renting and purchasing movies in the iTunes store possible from the iPhone. Purchasing of TV shows, music and the audiobooks also possible. Support for streaming audio and video HTTP in the Safari. Auto-fill support for usernames, passwords, and contact information. Autofill of information in iPhone now possible. Find my iPhone – A feature using which one can login to MobileMe account and see where the iPhone is, in the Google Maps. Remote Wipe – A feature which can send a command to delete all the private data like contacts, mail etc. when your phone is lost. And the data can be restored back if you get the phone back. Ability for the developers to embed Google maps into applications. More accurate GPS, speakerphone, iPhone media playing in the car stereo. There are a lot more features included in the iPhone 3.0 OS but WWDC featured the ones above. So expect a lot with this new version of iPhone OS. 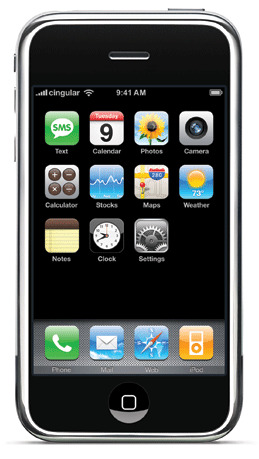 The iPhone 3.0 OS would be available on June 17th worldwide, and free for iPhone users, and cost of $9.99 for iPod touch users.